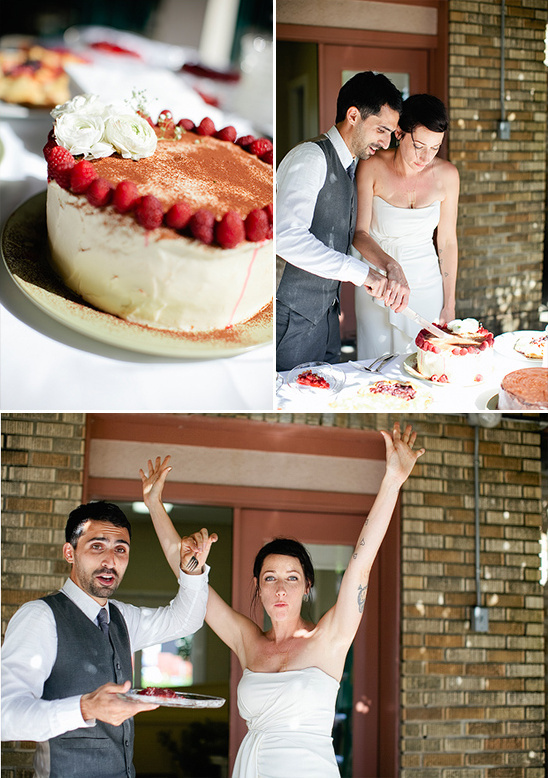 Holly and Colin wanted a no frills wedding, a day that felt like a backyard barbecue. 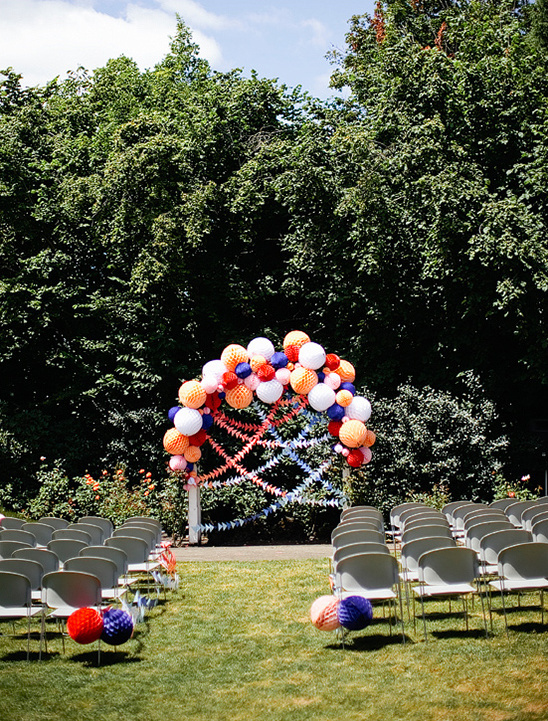 For those reasons they chose to say 'I do' on the Fourth of July as well as find and make most of their wedding decor. 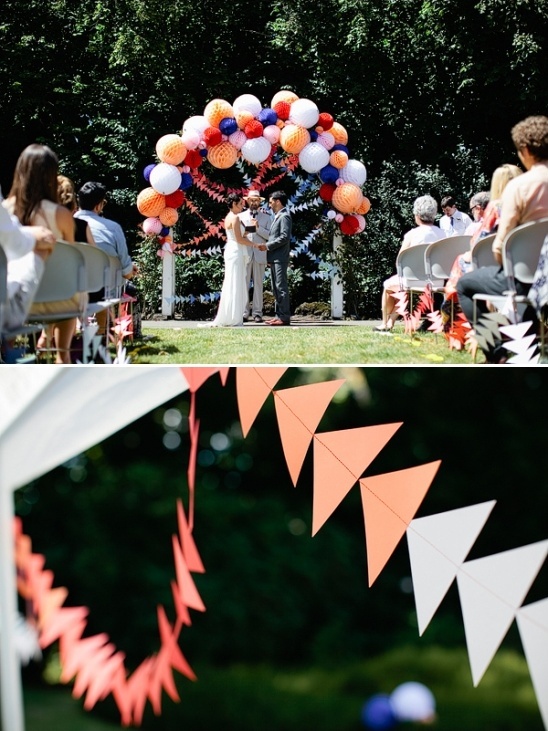 Everything from the beautifully simple paper garlands to the lovingly handmade wedding favor thank you notes. 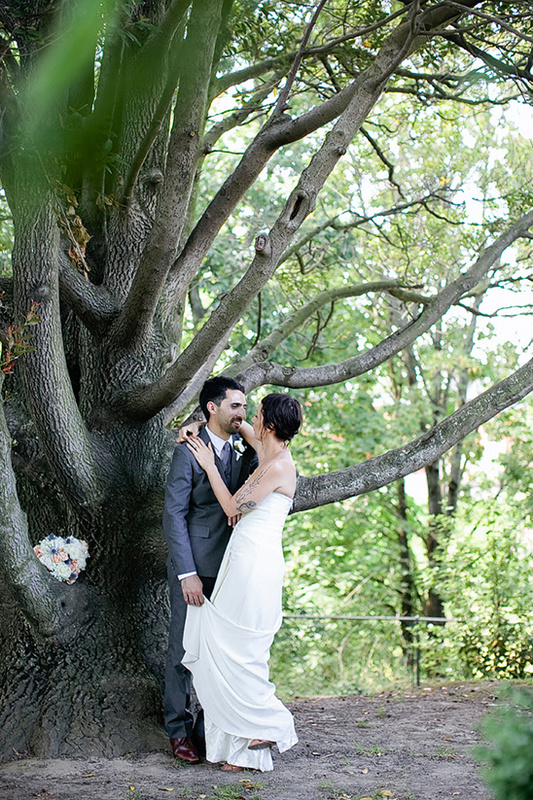 All their details and decor spoke their relaxed manner of living and loving life. 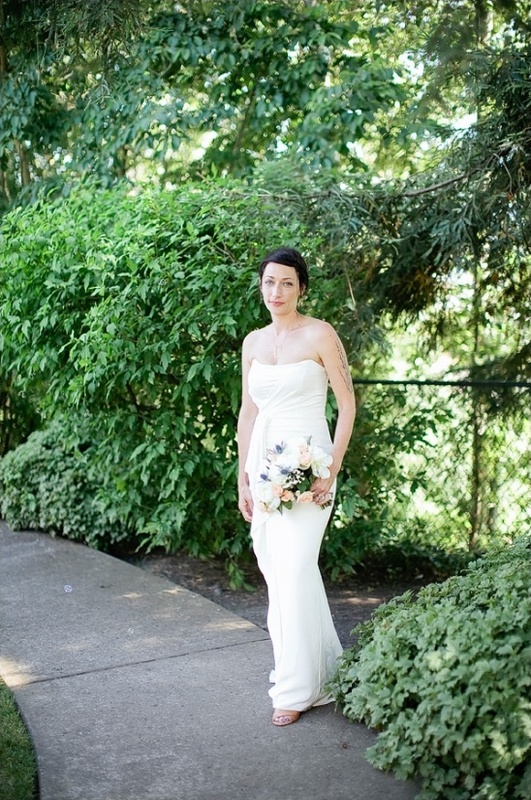 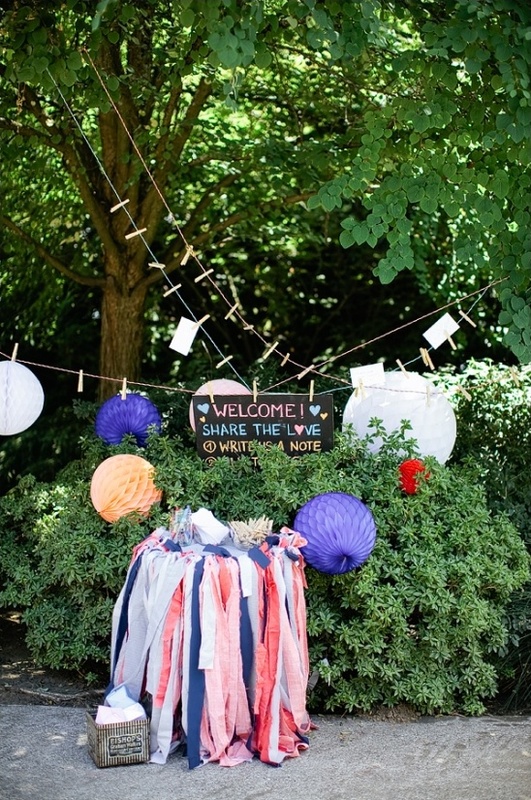 To see even more of this DIY Portland backyard wedding photographed by Yasmin Khajavi Photography, visit the full gallery here. 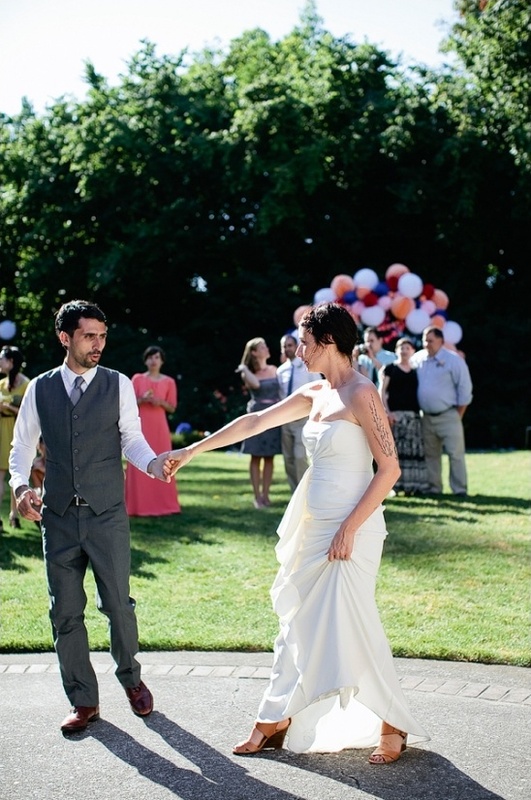 From the Bride:Held in the lovely back yard at The Historic Overlook House in Portland, OR, we exchanged vows midday, recited a modified Fred Rogers poem and tied the knot (with an actual piece of rope). 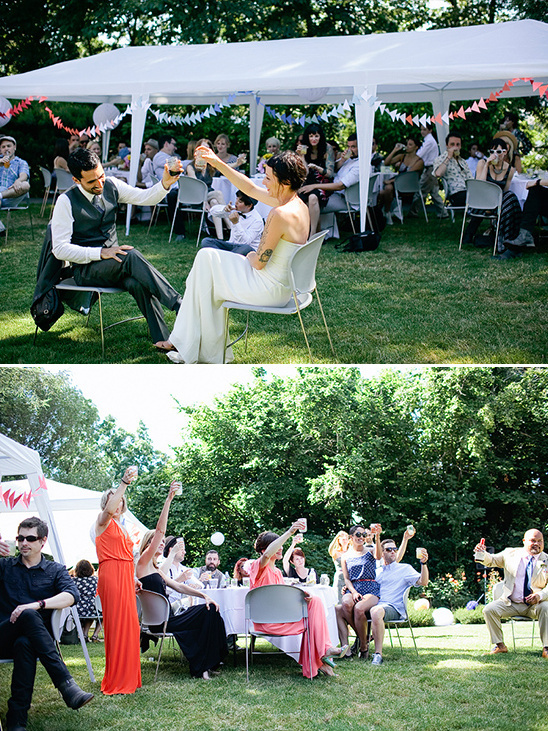 The idea behind the rope, was to show the physical action of making our bond secure and share it with our friends. 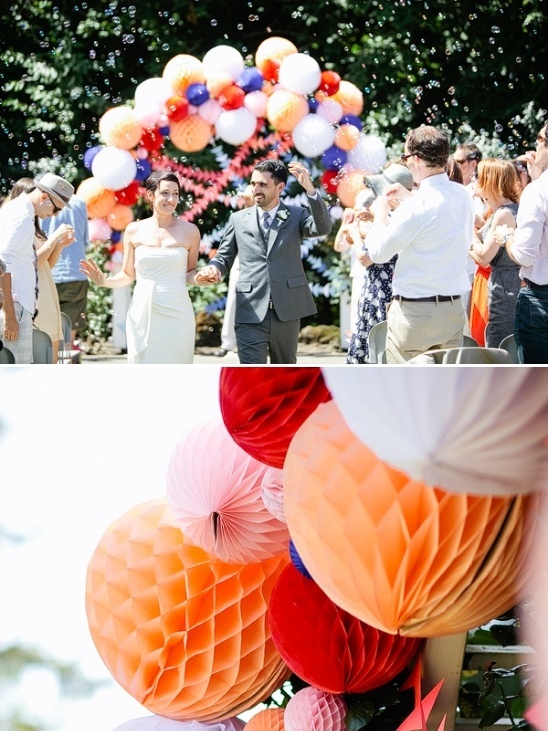 Our color palette began with coral and navy, but exploded into a much larger range of blues, white, pinks and yellows. 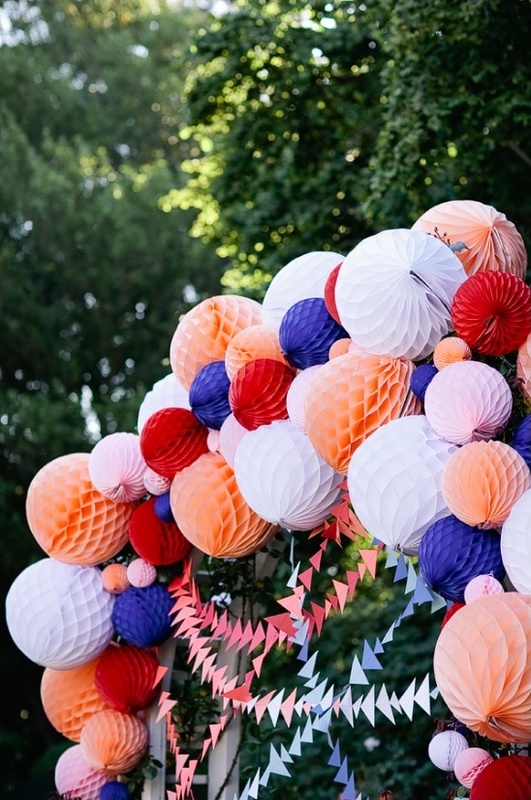 Most decorations were found thrifting, although a friend offered catering services as a gift and threw in wedding planning and décor to go with it! 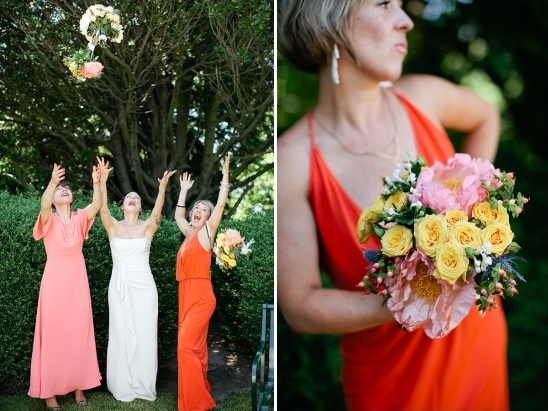 The florist went above and beyond - we had so many flowers!! 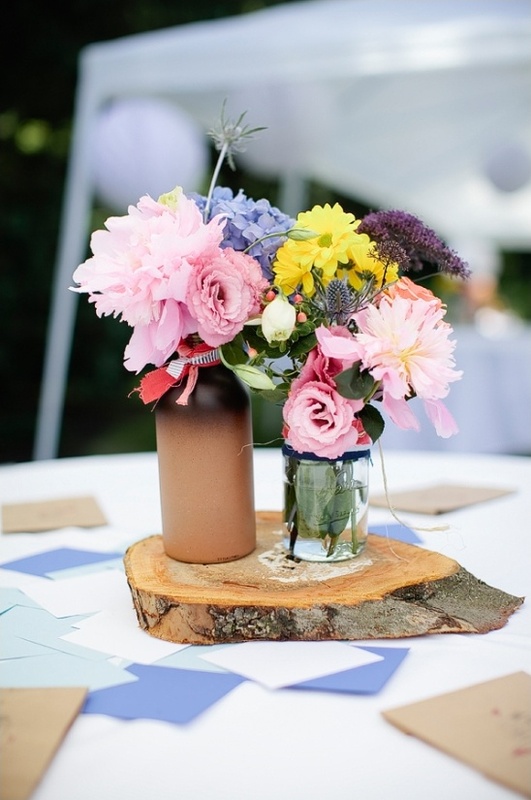 She took the remaining vases of flowers and donated them to a convalescent home, a beautiful gesture that brought a lot of joy. 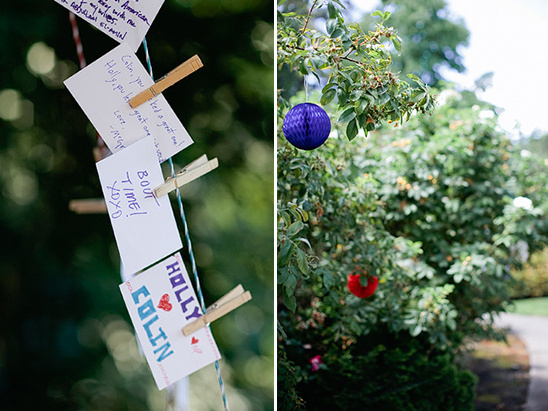 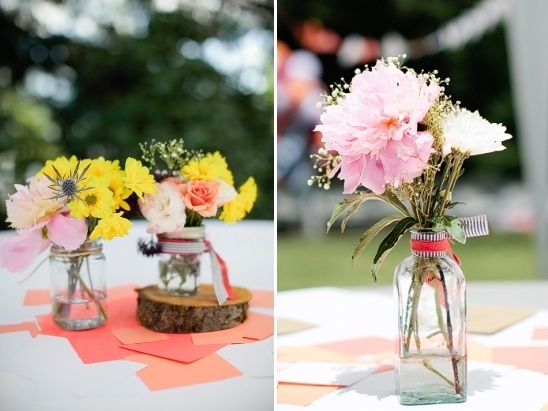 We love the amazing DIY details from Holly and Colin's wedding! 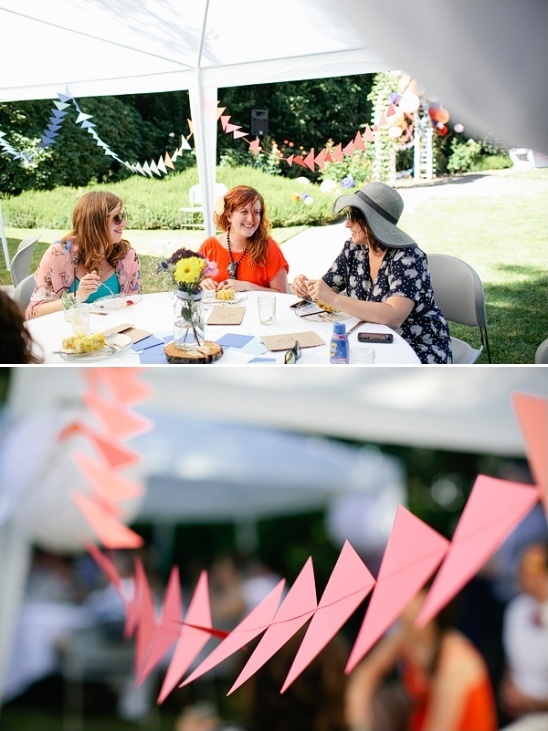 The handmade blue and red triangle banner’s ran throughout the reception, and were strung all over the altar which was engulfed by paper puff balls. 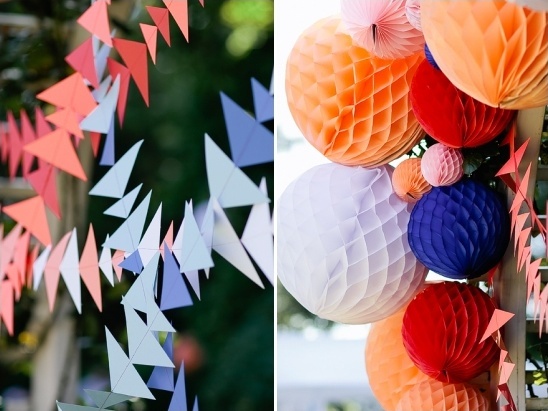 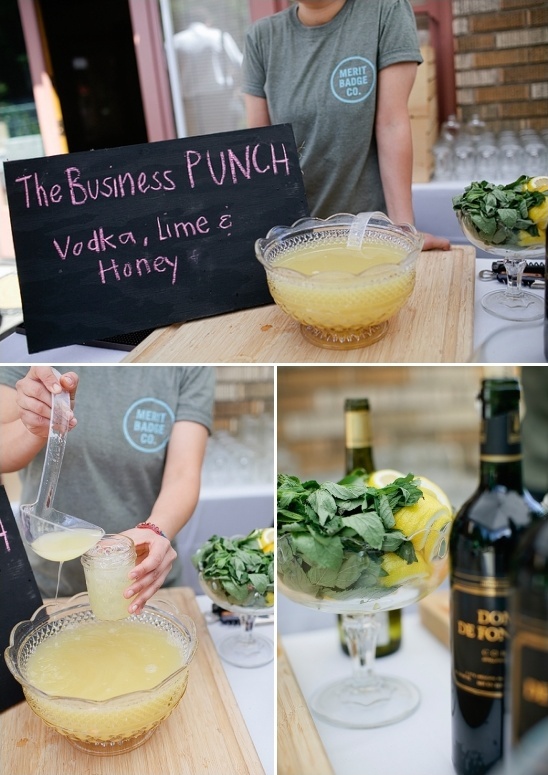 These simple and easy to do details kept the atmosphere laid back and fun, which was perfect for a back yard wedding.